Emergency Dentists USA provides you with a large listing of dental services available in Yonkers, NY. 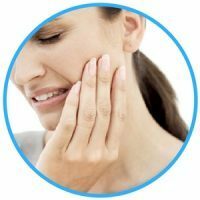 Our listings make it simple for you to pick out a dental appointment even while you are in pain from a dental emergency. A quick call to the Emergency Dentists USA hotline connects you to a knowledgeable operator who can help you choose the best emergency dentist in Yonkers to handle your cracked tooth, painful abscess, or lost filling. There is no need for you to stress about the search for the right dentist since we’ve done the work for you. Such a wonderful website, I’m so glad I found it before a severe toothache struck me. 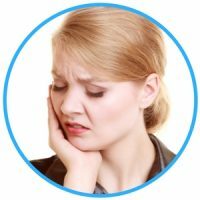 I was able to open this site again and look over the info on toothaches prior to calling their hotline to get an appointment with a local dentist. There are many options available to you for your emergency dental needs in Yonkers, NY. After hours dentists are available with late hours to help you should your emergency happen later in the day. Fleetwood Dental has late hours available until 8 pm on Monday and Thursday and is open until 6 pm on Tuesday. If you should require care on Sunday, they have hours from 8 am until 3 pm. Yonkers Avenue Dental offers complete family and cosmetic care for the whole family and is perfectly capable of treating any dental emergency you might have. Their office is open until 6 pm Monday, Tuesday, and Thursday and until 7 pm on Wednesday. Yonkers Dental is open 6 days a week, Monday through Saturday. Their hours vary by day with them being open the latest at 6 pm on Tuesday and Thursday. They open for a few hours on Saturday to accommodate any weekend emergency that pops up. We take the guesswork out of finding an emergency dentist in Yonkers, NY. Below are excellent dentists that can typically see patients in need of emergency care within 24 hours. Simply choose the one that fits your needs the best and give them a call. Description: This is one borough that is among the heaviest populated and busiest places in the nation, and our emergency hotline can provide you the best in top-notch dental service. If you encounter a slip on the ice or another dangerous dental happening, call the hotline and get set up with a professional today! Description: Fleetwood Dental offers late night hours on Mondays and Thursdays through 8 pm. They’re a great choice for a Sunday dentist with hours from 8 AM until 3 PM. They are fully capable of handling a plethora of dentistry procedures that you may require urgently. They state that their aim is to first serve your needs and that they are not out to overcharge anyone just because of an unexpected dental matter. Description: Yonkers Avenue Dental offers complete family and cosmetic care for the whole family. Their office is newly renovated and state-of-the-art. The office offers all the standard dental treatments plus much more. Their focus is on preventing problems before they start, but are perfectly capable of treating any dental emergency you might have. Description: Yonkers Dental is an ideal dentist for people who find themselves in an emergency situation. With late night and weekend hours, they offer the flexibility that you need. Dr. Viana is one of the best dentists in the Yonkers area and can help you fix or prevent future emergencies. Yonkers Dental also offers teeth examinations, dental implants, tooth whitening, crowns, veneers, and pediatric dental care. Description: Fred P. Tripodi DDS – Yonkers welcomes patients of all ages to his caring dental clinic. The office is there to provide a relaxed atmosphere that helps keep the stress of a dental emergency down. He has versatile expertise in general dentistry and offers many different services to meet all of your needs. Prepare for your visit by having all of your paperwork in order. Gather together all of your health records and insurance information and have them on hand for your visit. Arriving 15 minutes early to your emergency dental appointment gives you the time to fill out any necessary paperwork and to ask any questions you might have about your upcoming procedure. Talk to the dentist about the accepted forms of payment at their office. Find out if they accept cash, credit, or if they take insurance. Most dental insurance policies require you to visit an in-network dentist in order to cover the cost. Let the dentist know of any allergies that you have especially in regards to medication. Make a list of all your medications and supplements to be certain of no drug interactions. A cracked tooth, an abscess, or even broken braces can be handled by a Yonkers dentist that is trained to handle all dental emergencies. These types of emergencies should be treated as soon as possible so that the situation isn’t made worse by waiting. The hotline at Emergency Dentists USA provides you with access to a Yonkers emergency dentist that can get you an appointment when you need it to help relieve your dental emergency and get you back to having an enjoyable day. A painful toothache can stop any fun times right in their tracks. A toothache means it is time to immediately schedule an appointment with your dentist. Until you can see an emergency dentist, you can take a few steps to help ease the pain. First, rinse your mouth with warm water to remove food particles. Next, use dental floss to remove any food that is lodged between your teeth. When this is complete, use a cold compress on the outside of your mouth to help ease pain and to reduce any swelling you might have. Do not use aspirin or painkillers on your gum as this can cause a burn to the gum tissue. 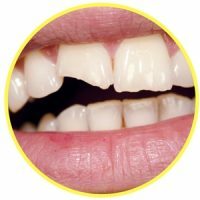 A chipped or broken tooth can bring on immediate panic as they are disfiguring. Try first to save any pieces of the tooth that you can find. Rinse your mouth and any broken pieces of the tooth using warm water. If there is any bleeding, place a piece of gauze over the area until the bleeding stops. Place a cold compress to the outside of your mouth where the chipped tooth is located. This will help ease any pain or swelling you might have. Any tooth trauma caused by an accident should be treated right away. Go immediately to the emergency room if you have an accident that involves anything other than just your teeth. You will want to be certain that you do not have an injury that could complicate your recovery. A broken tooth, chipped tooth, or dislodged tooth needs to be treated as soon as possible in order for the tooth to be saved. Contact your Yonkers emergency dentist with any dental emergency that you have and get treated as soon as possible. An emergency tooth extraction is absolutely necessary on occasion usually due to tooth trauma or infection. It is best to have it removed as soon as possible if your dentist says it can not be saved as leaving it can lead to complications. To begin, the dentist will take x-rays of the area to determine the best course of action. Once this is determined, the dentist will apply anesthetic to numb the area and extract the tooth. When the tooth is extracted, a gauze pack is placed over the extraction site to slow bleeding and encourage blood clot creation. The gauze pack should be left in place for at least 30 minutes. Once the clot is formed, the gauze can be removed. For the next 24 hours, do not drink through a straw, use alcohol, smoke, or exercise vigorously. Doing any of these can cause bleeding. Brush your teeth as you normally would, being careful to avoid the extraction site and teeth immediately surrounding it. Take the medication as prescribed to prevent pain. A cold compress applied to the outside of the area can help with pain and swelling. A Yonkers emergency dentist is available to help you handle any dental emergency that comes your way. They can help you with most any dental emergency you might have. They are trained to treat broken, chipped, cracked, or even missing teeth in a fast manner. In cases where a dental emergency is caused by an accident from a car, sports injury, or a fall, it is best to seek treatment in an emergency room. Go to an emergency room first if you should be injured in any manner where you might have broken bones or other injuries that can complicate your recovery. The emergency room is there to treat you and provide you with the care that you require for those types of emergencies and they will then refer you to a Yonkers emergency dentist for further treatment. The emergency dentist can help you with any problems you experience from there. 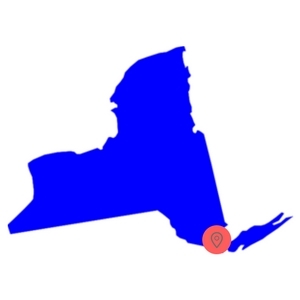 When you choose a Yonkers emergency dentist, it is always a good idea to verify the dentist’s credentials with the local state and city dental associations. The American Dental Association offers search options for this on their website. Information about New York dentists and their credentials is also available on the New York State Dental Association website. The Emergency Dentists USA portal is a website that is designed for informational purposes only. This website should never be used to replace the actual advice of a medical professional. If a patient is having an emergency and cannot reach a dentist, it is important to call 911 or proceed directly to the nearest hospital emergency room to ensure prompt treatment and safely.